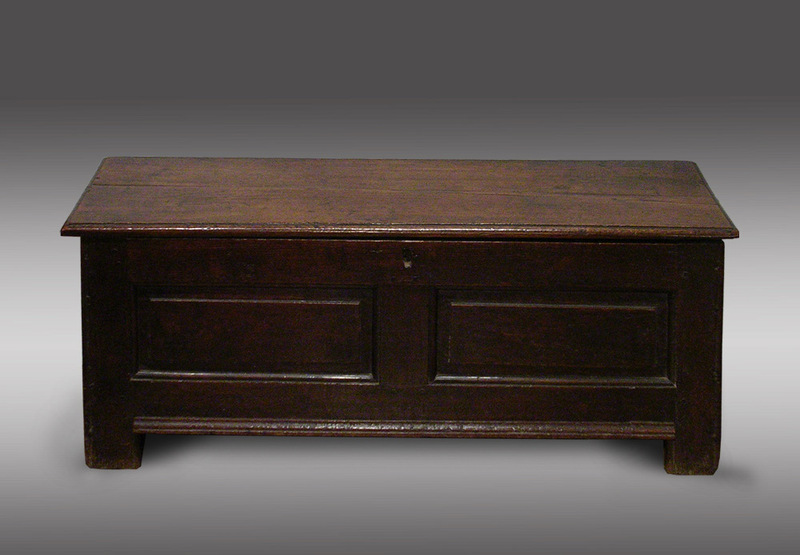 Welsh oak coffer from Monmouthshire, circa 1690. 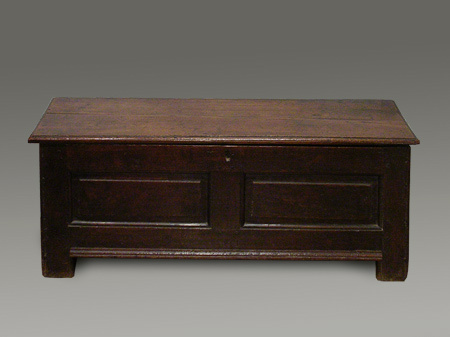 This particular coffer is quite low, making it ideally suited for beneath a window, or at the bottom of a bed. At the front and sides, there are raised and fielded panels, finished off at the front by a stip of moulding. The whole is supported on four stiles.